Of Witches and Warlocks: NOW AVAILABLE: COVEN, Of Witches and Demons, Book One, by Lacey Weatherford!! 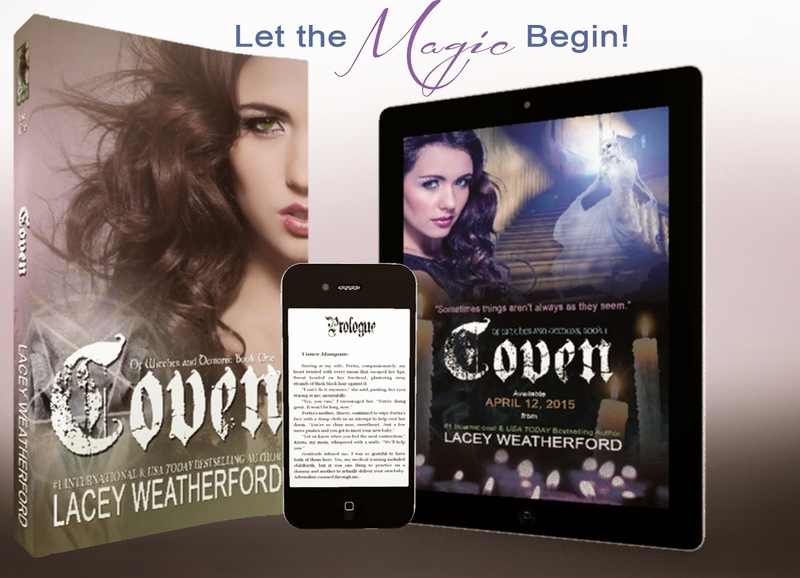 NOW AVAILABLE: COVEN, Of Witches and Demons, Book One, by Lacey Weatherford!! NOW AVAILABLE: COVEN, Of Witches and Demons Book One, by Lacey Weatherford!! It's finally here! Check out all the details, blurb, images, sneak peeks, and buy links for all retailers featured by Adobe Slate HERE! Simply click the link and scroll down! Also, don't miss out on the amazing Rafflecopter Grand Prize that will be given away at the Coven Release Party on April 18th at 5 Pm MST. If you would like to join the event hosted in The Royal Court of the Queens of Romance, then please click HERE!